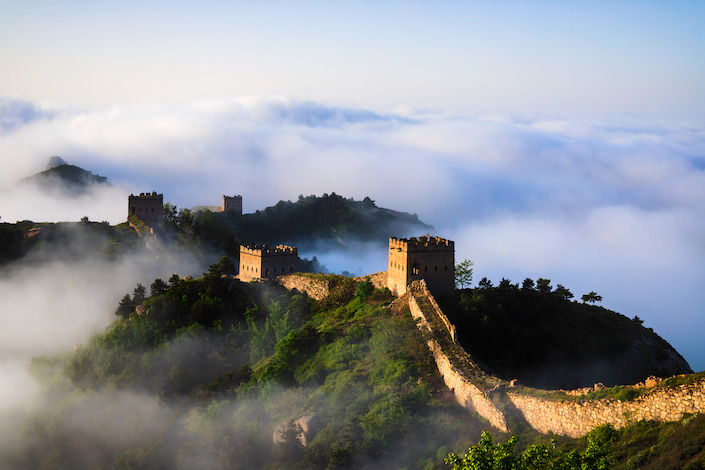 After repelling outsiders for centuries, China’s Great Wall is trying to keep out a new group of 21st-century invaders: overnight tourists. That’s the message coming from shared-economy homestay specialist Airbnb, which has abruptly canceled a promotion that would have given winners of a competition free overnight stays on the Great Wall, one of China’s most recognized symbols and often considered one of the greatest engineering feats of all time. Airbnb said it designed the promotion in accordance with relevant authorities, but decided to scrap the promotion after receiving feedback from an unspecified cultural heritage body, according to a post (link in Chinese) on its microblog. It added that the promotion was part of a bigger worldwide series that involved stays at more than 70 world-class tourist destinations. The company said it will continue to seek feedback within the Chinese community on future events, adding that the China market has become one of its most important since it formally entered in late 2016. It said the promotion had been aimed at showcasing Chinese culture and preservation of the country’s cultural heritage, according to a separate posting on its Chinese microblog. The about-face highlights sensitivities in China surrounding cultural matters in a country that boasts one of the world’s oldest civilizations but where many cultural artifacts remain poorly preserved. It also spotlights sensitivities about the commercialization of well-known cultural relics like the Great Wall. In a similar case earlier this year, a tourism company whose name includes one of China’s most sacred Buddhist mountains was pressured into withdrawing its plan to make an initial public offering (IPO) after a cultural agency objected. That instance saw Putuoshan Tourism Development Co. withdrew its IPO application in April after China’s securities regulator said the company’s name violated national guidelines for regulating commerce at Buddhist and Taoist temples in China.